Hashtags are very easy to use and can make your social media postings shareable and discoverable provided that you use them correctly. There are specific guidelines to follow for each social network that we will help you increase your overall social media traffic. How to create your own hashtags? Hashtags or hash tagging is a way to add metadata to content you publish on social media so that it is easier to be found, followed and understood by people and social media sites. A hash tag starts with the # symbol and is followed by a word or words without spaces. For example, here are some of the popular hashtags in the SEO industry: #SEO, #digitalmarketing, #googleseo, #seotips. Note that hashtags are not case sensitive so #hashtag is the same as #HashTag and you can also use numbers with your tag so #10SEOTips is a valid hashtag (with the exception of Google+ where hashtags cannot begin with numbers). 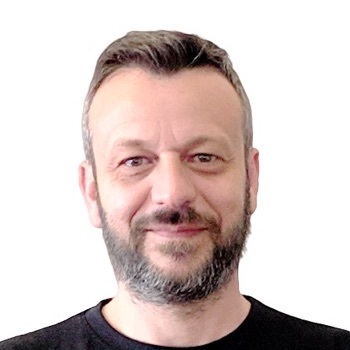 Users following the particular hashtag can see your messages even if they don’t follow you. 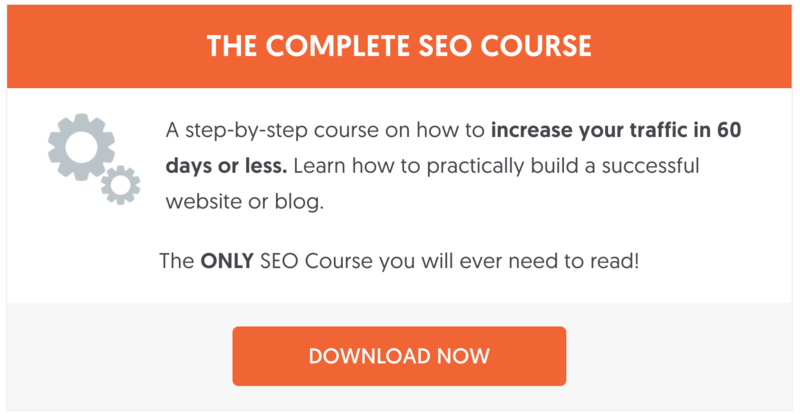 In other words, by using popular hashtags in your posts you increase the potential audience. It’s a way to add your own posts to an existing story. Let’s say that there is a trending story on twitter and you want to add a respond, you can use the hashtag so that people following that story will also see your update. Hashtags make it easier for social networks to categorize your updates and this makes them more visible to their search functions. For example, by adding the hashtag #SEO on a tweet, you give the indication to twitter that your tweet is about SEO. 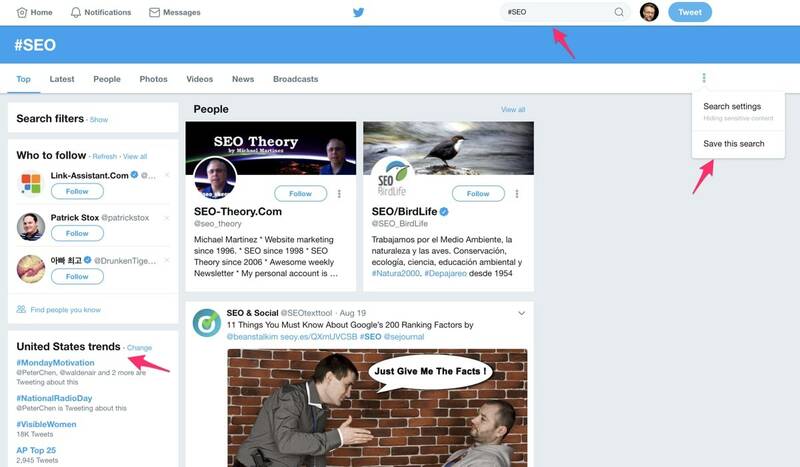 This means that it will appear in the search results when users search for SEO on twitter. You can create your own hashtags by adding a # sign and the words you want (without spaces). For example, you can do this #myhashtag. 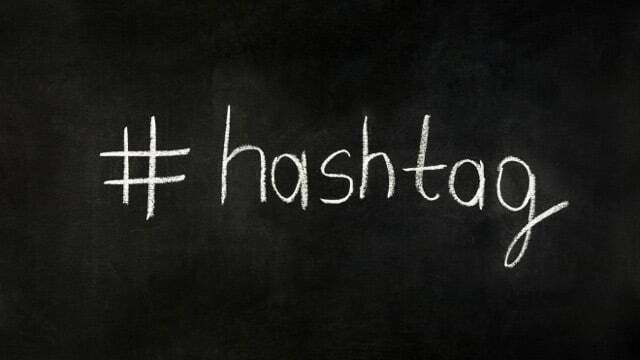 A hashtag becomes trending when a large number of people use it in their messages. This is a very powerful way for businesses to communicate with their clients and get the conversation going. For example, go to twitter and search for #justdoit to see how Nike is using hashtags for brand awareness and promotion. Twitter was the first platform to use hashtags, the first ever tweet with a hashtag was posted in 2007 by a former Google employee and since then hashtags became very popular in Twitter but also in other social media platforms. Studies show that tweets with hashtags receive twice the engagement (tweets, retweets, clicks and replies) than tweets without hashtags. The recommended number of hashtags for a tweet for maximum exposure is 2. This does not mean that if you use 1 or 3 is bad, it is simply a recommendation based on research studies. 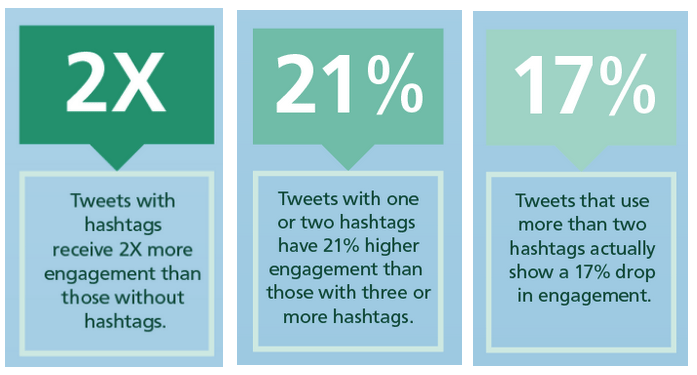 There are 3 things to know about using hashtags on twitter. View Trending hashtags: When you login to your twitter account you will see on the left site the trending hashtags. The results are tailored to your location but you can click CHANGE and see what’s trending for other locations as well. To view the tweets for a particular hashtag, just click on the hashtag link. Follow a hashtag: To follow all tweets for a particular hashtag just enter the hashtag (with the # sign) in the search box and hit enter. The timeline will now show the TOP tweets containing your hashtag or ALL tweets. You can click SAVE to save your search so that next time you click on the twitter search box, you can choose to view your saved search. Create a tweet with a hashtag: When you create a new tweet and enter the # symbol and start typing, twitter will make recommendations on the hashtag to use. You can either select one from the list or create your own. Facebook started supporting hashtags in 2013 and although it’s been a number of years since then, Facebook users don’t use hashtags a lot. They do have a page in their help center explaining what are hashtags and how to use them but there is not much information there. Same rules apply like twitter i.e. if you want to follow a hashtag just search for it using # in the search bar. The recommended number of hashtags for a facebook post is 1 or 2. After 5 hashtags the interactions a post might receive start to decline. When you create a post with a hashtag and share it to everyone (public), your post will appear when people search for the particular hashtag (provided that you allow people to follow you). When used without exaggerations, hashtags are also a great way to increase your facebook followers. Instagram is all about photos and hashtags. If you like using hashtags then create an account on instagram and start tagging! 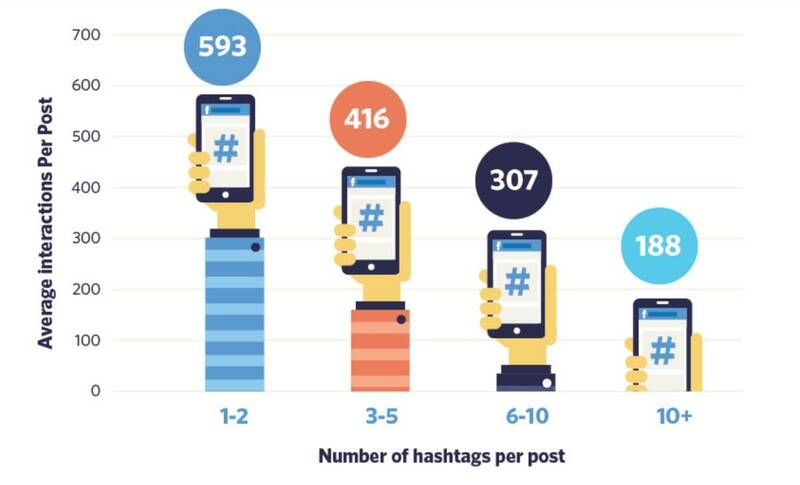 The recommended number of hashtags for an instagram post is 11! Interaction with a post jumps to high levels when 10+ hashtags are used in a post. 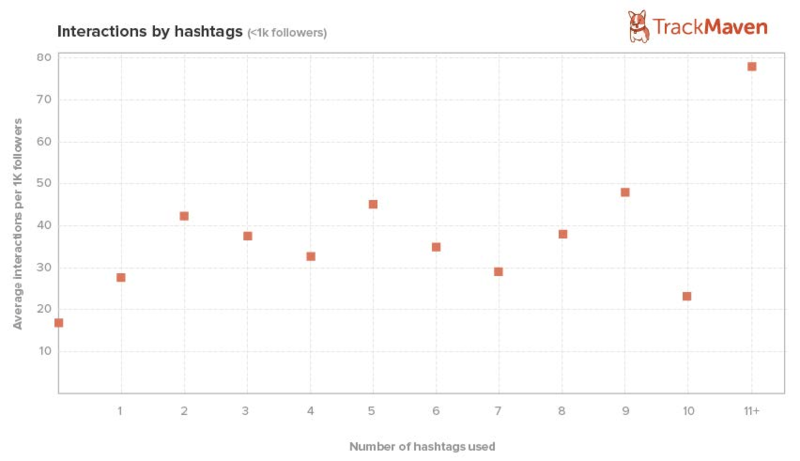 The maximum number of hashtags allowed by instagram is 30. You can use numbers but no spaces or other special characters when tagging (like $ or %) and you can click on a hashtag so see other posts that share the same tag. You can read the official Instagram guidelines here. Hashtags are also supported on Pinterest. You can read the official guide here. You can use the # sign followed by letters without spaces to tag your pins. When you do so they become links and when clicked they show related pins. The pins with the most interactions (likes, comments, re-pins) will show first when you search for a particular hashtag on Pinterest. The recommended number of hashtags for a Pin is 3. This is just a recommendation and not official from Pinterest. Hashtags are back on Linkedin and supported. Same rules apply as the other networks. The recommended number of hashtags for a Linkedin post is 2. It may be a surprise to some but you can use hashtags while searching Google. For example if you type #SEO in the google search box you will get links to the #SEO pages on twitter and Google+. Depending on the search term you use, Google may show you results from Facebook or other social networks. Hashtags are easy to use and have many advantages to offer. In-proper use of hashtags can sometimes be considered as a form of spam that’s why it’s important to follow the simple rules outlined above when using hashtags in your social media postings. Great post as ever. Hashtags are topics of my interest. Social awareness and success relies a lot on these hashtags. Glad to learn a lot about it on your post. Keep writing.